J.D. Salinger published his first story in "The New Yorker" at age twenty-nine. Three years later came "The Catcher in The Rye," a novel that has sold more than sixty-five million copies and achieved mythic status since its publication in 1951. Subsequent books introduced a new type in contemporary literature: the introspective, hyperarticulate Glass family, whose stage is the Upper East Side. Yet we still know little about Salinger s personal life and less about his character. This was by design. In 1953, determined to escape media attention, Salinger fled to New Hampshire, where he would live until his death in 2010. Even there, privacy proved elusive: a "Time" cover story; a memoir by Joyce Maynard (who dropped out of Yale as a freshman to move in with him); and a legal battle over an unauthorized biography, which darkened his last decades. Yet he continued to write, and is rumored to have left behind a mass of work that his estate intends to publish. 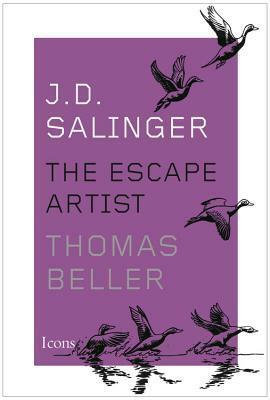 Thomas Beller, a novelist who grew up in Manhattan, is the ideal guide to Salinger s world. He gives us a sense of life at "The New Yorker" (where he was once a staff writer) and a portrait of editor Gus Lobrano, whose relationship with Salinger has rarely been written about. He visits Salinger s summer camp and the apartment buildings where the author lived. He reads the famous works with obsessive attention, finding in them an image of his own life experience. The result is a quest biography about learning to know yourself in order to know your subject. "J.D. Salinger" is the triumph of a rare literary form: biography as work of art."